Yesterday, I ran TrimGalore/FastQC/MultiQC on the Crassostrea virginica MBD BS-seq data from ZymoResearch with the default settings (i.e. “auto-trim”). There was still some variability in the first ~15bp of the reads and Steven wanted to see how a hard trim would change things. I ran TrimGalore (using the built-in FastQC option), with a hard trim of the first 14bp of each read and followed up with MultiQC for a summary of the FastQC reports. OK, this trimming definitely took care of the variability seen in the first ~15bp of all the reads. 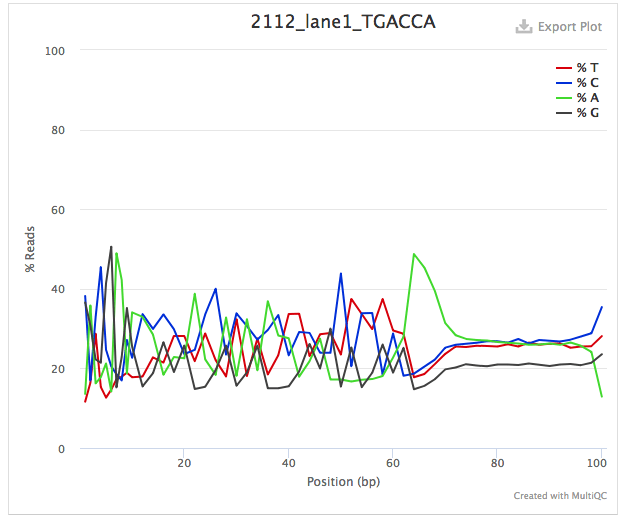 Yesterday, I ran FastQC/MultiQC on the Crassostrea virginica MBD BS-seq data from ZymoResearch. Steven wanted to trim it and see how things turned out. I ran TrimGalore (using the built-in FastQC option) and followed up with MultiQC for a summary of the FastQC reports. Checksums for FASTQ files were verified post-data transfer. Overall, the auto-trim didn’t alter things too much. Specifically, Steven is concerned about the variability in the first 15bp (seen in the Per Base Sequence Content section of the MultiQC output). It was reduced, but not greatly. Will perform an independent run of TrimGalore and employ a hard trim of the first 14bp of each read and see how that looks. 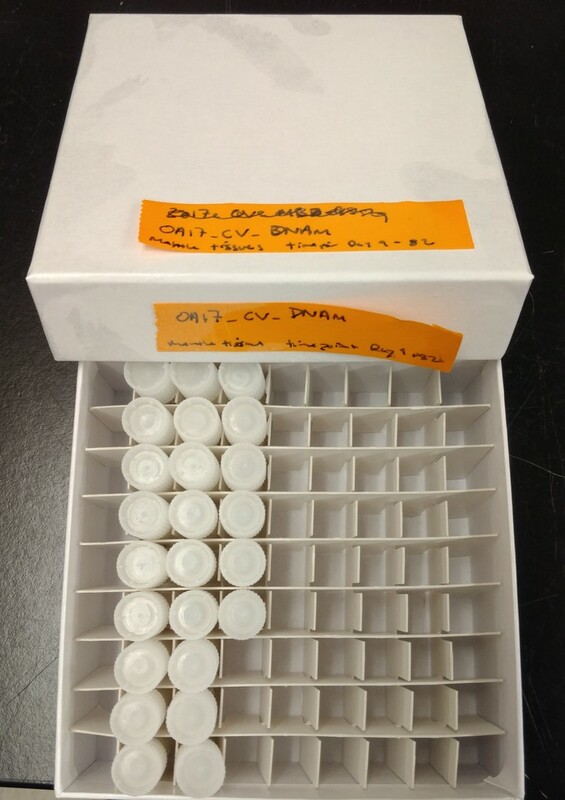 Per Steven’s GitHub Issues request, I ran FastQC on the Eastern oyster MBD bisulfite sequencing data we recently got back from ZymoResearch. MultiQC was then run on the FastQC output files. All files were moved to Owl after the jobs completed. Steven’s interested in seeing what the trimmed output would look like (and, how it would impact mapping efficiencies). Will initiate trimming. See the GitHub issue linked above for the full discussion.